May has so far failed to secure backing for her negotiated agreement with Brussels as some Conservative lawmakers and Northern Ireland's Democratic Unionist Party, which props up her minority government, have voted it down. "The fact is that on Brexit there are areas where the two main parties agree: we both want to end free movement, we both want to leave with a good deal, and we both want to protect jobs," May said in comments released by her Downing Street office. "The longer this takes, the greater the risk of the UK never leaving at all," she said. May has a plan to enshrine in law a customs arrangement with the EU to win over the Labour Party, and her aides have discussed offering the opposition a place in the British delegation to Wednesday's EU summit, The Sunday Times newspaper reported. The prime minister has asked EU leaders to postpone Britain's exit from the bloc until June 30. The EU, which gave her a two-week extension the last time she asked, insists she must first show a viable plan to secure agreement on her thrice-rejected divorce deal in the British parliament. "My intention is to reach an agreement with my fellow EU leaders that will mean if we can agree a deal here at home we can leave the EU in just six weeks," she said. "The vision we had of Brexit is fading away â€“ and we are running out of time to save it," she wrote in the Sunday Telegraph newspaper. 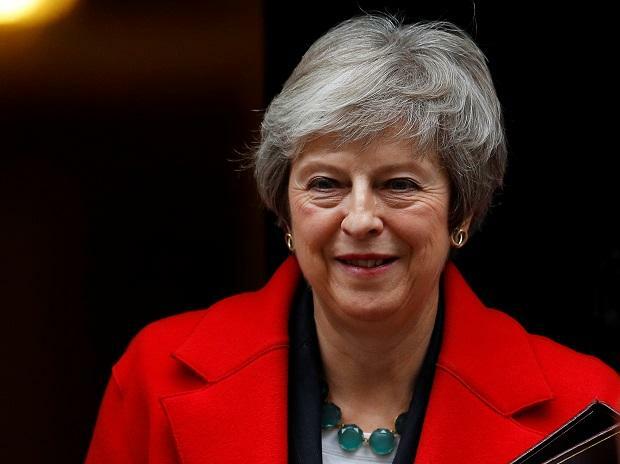 Some of May's lawmakers are warning they will try to oust her if Britain participates in EU parliamentary elections next month and is forced to extend membership of the bloc beyond June, The Observer newspaper reported. "Our party and our government have completely lost touch with voters," the candidates said, according to The Sunday Telegraph. "Let's be clear: more fudge and a further dilution of Brexit is not the answer." Opposition leader Corbyn also faces pressure as more than 80 of his lawmakers warned that another vote on Brexit must be a red line in Labour's talks with the government, The Independent newspaper said.